Dog bites are an unfortunate reality. More than 5 million Americans each year are bitten by dogs. A portion of those are directly because the owner did not use good judgment to protect the other members of the community. California has enacted a law to help protect victims from owners who endanger others. The law states that a dog owner is legally responsible for any damage done to the victim. Victims of dog bites must deal with both physical and emotional trauma. A serious dog bite can make a victim afraid of dogs for the rest of their life. When a dog acts aggressively towards other members of the community, the owner of the dog knows that his or her pet may be dangerous. It demonstrates poor judgment if the owner lets his dog get in positions that may be hazardous to others. 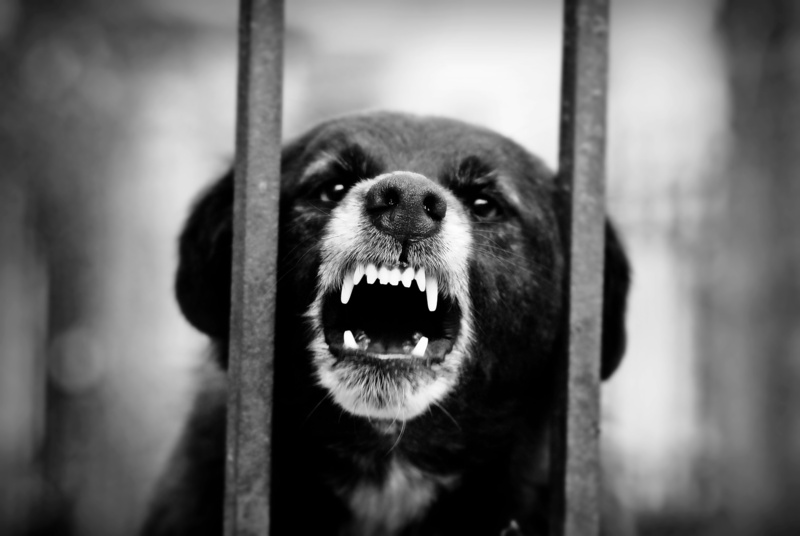 If a dog has been known to be aggressive before, the owner is responsible for any damage if the dog bites or injures someone else. What Happens in a Dog Bite Case? If you have been the victim of a dog bite, you are entitled to compensation from the dog’s owner. This compensation is paid by either the owner himself or his insurance company. While the emotional trauma caused by a bite is not simply repaired by money, we do know not having to worry about how you will pay your new medical bills will be a relief. Besides medical bills, compensation may also cover emotional damage, lost wages and other costs. What’s the Basis of a Claim? These are just a few of the many factors that will be evaluated in your dog bite case. These sorts of personal injury cases often get quite complex. As such, it is best to have a highly qualified attorney by your side to fight for you. As with any other kind of personal injury, you have a set amount of time in which you can bring a claim. In the State of California, this statute of limitations is two years, according to the California Code of Civil Procedure Section 335.1. There is an addendum that states if you discovered the injury after the incident, the statute of limitations is one year after discovery. However, this is highly unlikely in a dog bite case. If you have been the victim of a dog attack, do not wait to take legal action. Dog bites often result in very serious injuries that require medical care and, in many cases, time away from work. The attorneys at Ernst Law Group have a long history of successfully representing clients in all kinds of personal injury cases. Our goal is to make sure you receive the compensation you deserve. Don’t wait; give us a call for your free consultation today.